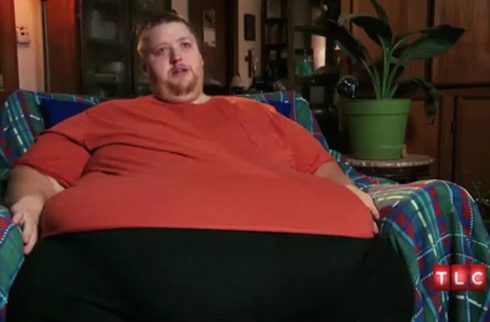 It’s been a long time since My 600 Lb Life fans have heard from James Jones, the native Texan whose 750 pound peak weight made him one of the heaviest participants of Season 2. In our exclusive interview and My 600 Lb Life James Jones update, we reveal his current weight, as well as his health after suffering major injuries in a recent car crash. Weight problems are a recurring and tragic theme in James’ family. As he explained in his My 600 Lb Life debut, both James’ father and sister died of health issues related to obesity. And the two died within six months of each other, creating both motivation for James to lose weight and a significant emotional burden to carry. James explained, “My dad struggled with his weight. When he passed away, he was in the mid-400s…Doctor says that weight cause him and [my sister]’s problems. He says that later on down the road…that I’m gonna have those problems,” said James, struggling to hold back tears. Indeed, during his episode, James’ doctor told him that at his then-current weight and diet, he wouldn’t live to see 65 — the age at which James’ father died. And James actually managed to lose some weight before meeting Dr. Nowzaradan — he weighed 728 pounds at his first visit to the office. But it was after the two met that James’ weight loss began to accelerate. He went on an egg-and-toast diet and dropped 53 pounds in two weeks, qualifying for stomach bypass surgery in the process. After five months, James was 148 pounds lighter. He qualified for an initial skin removal surgery, and another 76 pounds vanished on the operating table. By the end of his first episode, James was eating better, exercising regularly, and down to 376 pounds, or only a little more than half of his peak weight. But that episode aired in 2014. And James’ brief Where Are They Now? follow-up aired the in the winter of 2015. So it’s been over four years since we’ve gotten a My 600 Lb Life James Jones update from the man himself. Based on what he told us, things have been going well in the interim. And James’ current weight puts him in some very elite company among the show’s cast. The most recent photo he’s made available: James Jones in July of 2018. Photo via Facebook. Based on the most recent numbers, James is actually correct: Christina went from 708 to 172 pounds, for a total loss of 536 pounds. But there aren’t many My 600 Lb Life cast members who’ve dropped more than 500 pounds and kept all the weight off. 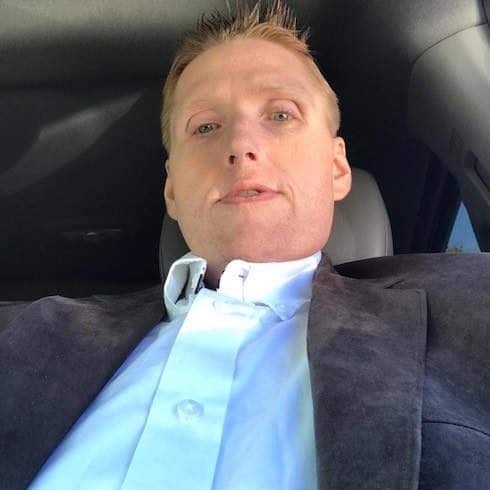 James also said “I went on the show to inspire people.” He added that he “would do another [My 600 Lb Life James Jones update],” but that there are still details to be worked out by the show’s production company before any filming could begin. James in December of 2017. Photo via Facebook. And it sounds like there’s been plenty to cover of late. 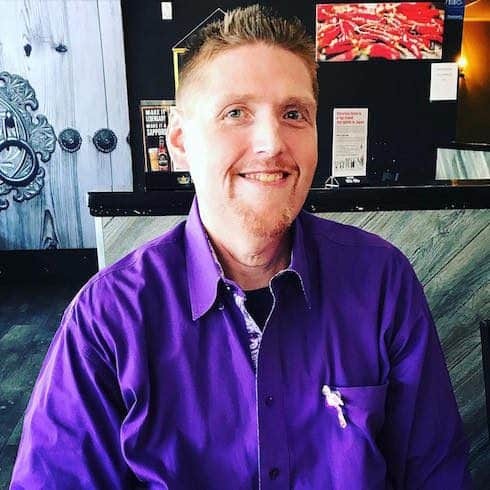 In addition to his astonishing weight loss, James told us he’s also recovering from successful spinal fusion surgery, following a violent car accident a little over a year ago. “I went off the road a year ago,” James said, “and flipped my F350 back across a four-lane highway. Broke my c2 [vertebra] and both collar bones.” The extra stress of extreme weight loss — James’ weight had gone back up, and he dropped several hundred pounds in the months before the crash — complicated his recovery from the accident. James is still on social media, but far less than he used to be: he “made a lot of things private” because he’s “not into all the [attention]” that comes with having been on a hit TV show. On that note, you can revisit James’ My 600 Lb Life debut here. And you can stream the My 600 Lb Life James Jones update episode here. Both are available via TLC.